This historic, beautifully renovated, 760 seat theater near downtown Kearney serves Central Nebraska as a regional performing arts center. 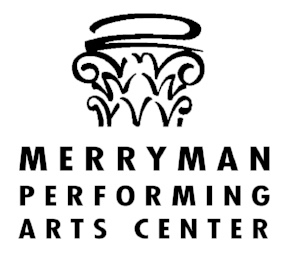 The Merryman presents national touring artists in music, dance, and theater. On Tuesday, February 12 the Merryman Performing Arts Center (MPAC) in Kearney, presented Illusion Theater of Minneapolis theatrical adaptation of Willa Cather’s My Antonia. Despite a last minute rescheduling due to inclimate weather, MPAC was still able to host 12 schools; Riverside High School in Cedar Rapids, Elwood Lexington, Arnold, Arapahoe, Loup City, well as nearly 100 students from Kearney Catholic Nearly 450 students attended the matinee performance . University of Nebraska Students also attended the public performance on Monday, Feb 11. The Merryman provided post-performance surveys to students and teachers. These surveys asked for general impressions as well as specific comparisons to the novel. The students observed several different themes from the play from “the struggles that faced Nebraskans back in the day” to more personal resonances like “stay close to your old friends”. Many of the students who had read the novel enjoyed the theatrical adaptation (“It was just like reading the book!”) while other students were more critical of the liberties taken to condense Cather’s story (“There was so much left out it didn’t complete their characters”). Teachers commented: “So many rural kids don’t get the benefit of a professional, live performance so I like to take them as much as possible!”. Another teacher mentioned the benefits of attending live theater: “The [Illusion Theater study guide] was wonderful and provided a great resource for teachers/students. The students are so into technology, so a performance such as this pulls them into the world as it was”. A few others commented specifically on how the play fit into their curricula. Several teachers used the play as an introduction the novel they were about to read and others asked students to compare the play to the novel.